The Order of Celestial consists of questing Knights and Companions. They are headed by a Grand Master, and one Companion holds the position of Knight Confessor, an individual to whom other members can go for advice and confidential discussion. There are three Masters (of Arms, Physik and Thought). These were originally the heads of the three parts of the Order, but the titles are now used to bestow honour, not rank. 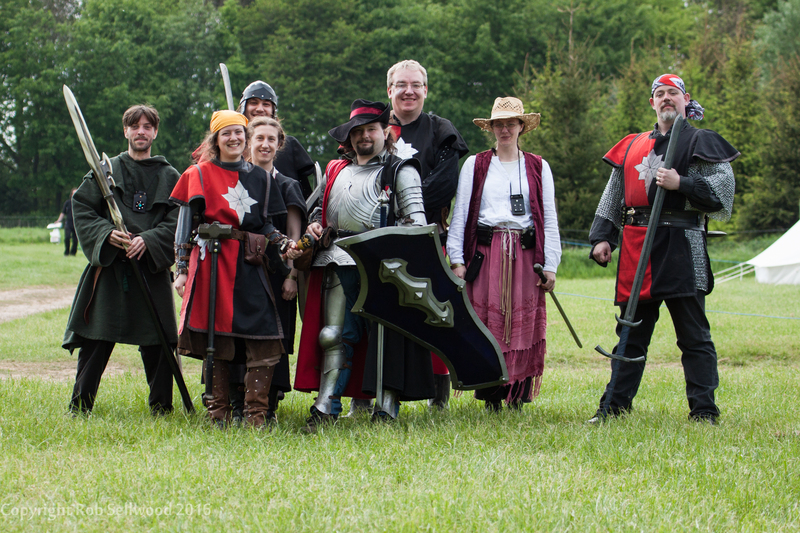 Each Knight also has one or more Squires, who are preparing to enter the Knighthood, and who, on successful completion of their training are knighted by the Grand Master. Upon achieving Knighthood, or upon joining as a Companion, oaths of virtue and duty are sworn. The Order follows what is Good before all else. This means that it is often outspoken and occasionally comes into conflict with other groups over the fictional “necessary evil”, but even their opponents have come to respect their integrity, commitment and sense of duty. Lacking the more formal structures, and severe outlooks of some units, the Order strives ceaselessly to put right what once went wrong, to protect those who cannot protect themselves and to leave Eredreja in a better state than they found it in. The Order has been through many changes since their formation. Originally known at the Celestial Knights, in 1106 they changed their name to the Order of Celestial, reflecting the many roles of those in the Order who support their ideals. Whilst they no longer follow the strict, formal arrangements of their formation, the ideals and virtues that they hold to remain strong. Initially based at their re-built Chapterhouse on Tamarus, the Lantian Isle of Duty, for many years most of the Order served within the Lions Faction, although their members could be found wherever their ideals hold true. However, for a number of reasons, the Order left the Lions Faction, and moved to Cymria and Erin, joining the Dragons Faction officially at Moot 1, in 1117. The Grandmaster, served by her Order, accepted the position of Ban-Rhi (ruler) in the northwest of Caer Danon, defending the land bridge to Erin. Grandmaster Huntington went on quest at the end of 1117, and has been succeeded by Grandmaster Michael D’Ascoyne. The Order of Celestial – Join us now!